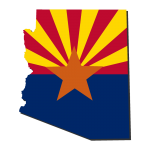 We specialize in Auto Repair, Honda Repair and Toyota Repair in Chandler, AZ. The Heat is on! Just in time for the summer months, I am happy to say that we are finally opening our doors here at Nate’s Next Gen Auto Care. 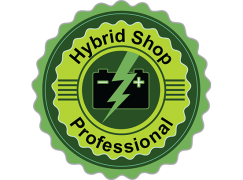 For those that I have not had the pleasure of meeting, I am Owner/Technician of Nate’s Next Gen Auto Care; franchise owner of the Hybrid Shop. We stand by our work and our customers’ satisfaction is our top priority. Give us a call any time you need a maintenance or repair service performed on your vehicle. We pride ourselves on using the latest technology and diagnostic tools to get the job done right the first time! After we have a chance inspect your vehicle we will offer maintenance suggestions that will keep your car, truck or SUV both safe and reliable. If you are looking for honest and reliable Chandler Auto Repair, our team of mechanics are here to help! Here are links to some of our most popular auto services: Honda Repair, Toyota Repair, Hybrid Repair. Give us a call for all of your auto servicing and preventative maintenance needs. So if you are looking for a Auto Repair in Chandler, AZ, call us today to learn more about how we can help you.